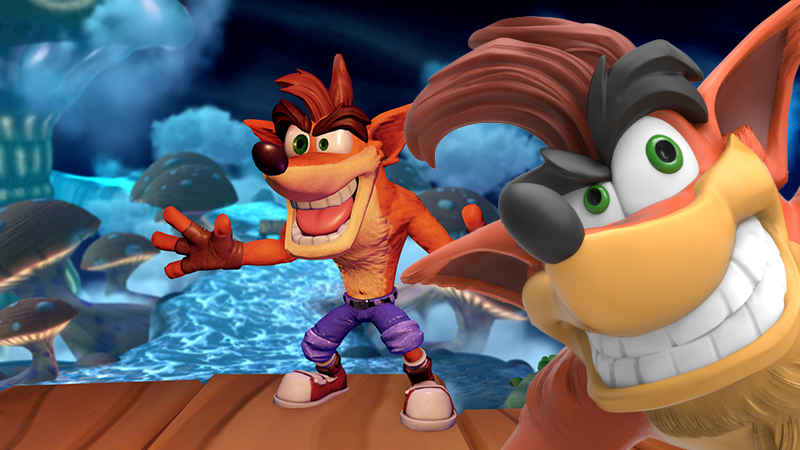 While a trio of remasters and a Skylanders cameo isn't quite the Crash Bandicoot revival fans were hoping for, it's a promising new beginning. And hey, new toy. 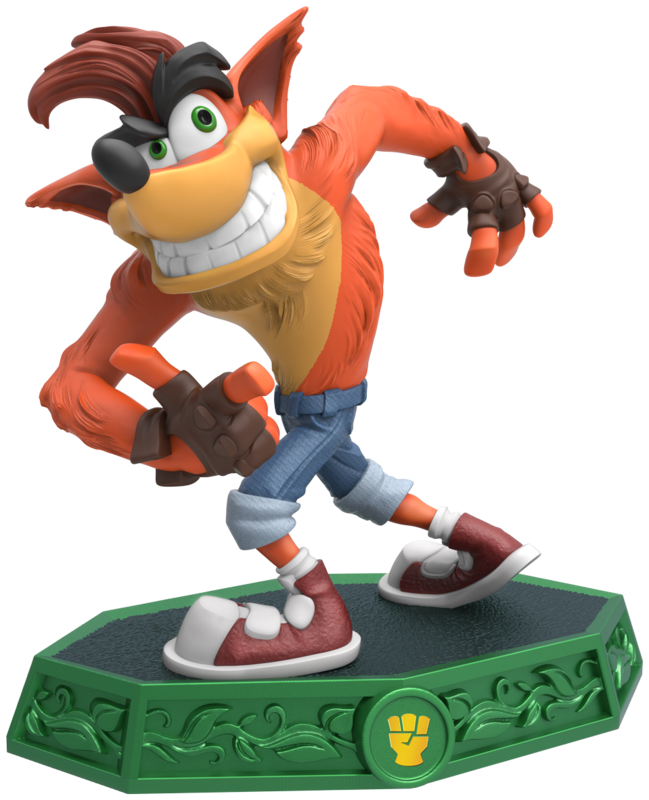 When I heard that Crash would be making his current-generation debut in this spring's Skylanders Imaginators, I cringed. I like Crash. I like Skylanders. Put them together and what have you got? Hopefully not another Spyro situation. Skylanders debuted in 2011 as Skylanders: Spyro's Adventure, using the name of the one-time PlayStation-exclusive mascot character as a springboard to launch a new series. Five games later and Spyro is a background character. When fans wonder why there is no new game starring the purple dragon, Skylanders is often blamed. Look at that tongue. Look at it. I wouldn't worry too much, Crash Bandicoot fans. You shirtless, crazy-eyed hero is in a better place than Spyro was back in 2011. The adorable purple dragon was treading water five years ago, and Activision used his head as a springboard, pushing him under while propelling Skylanders to new heights. 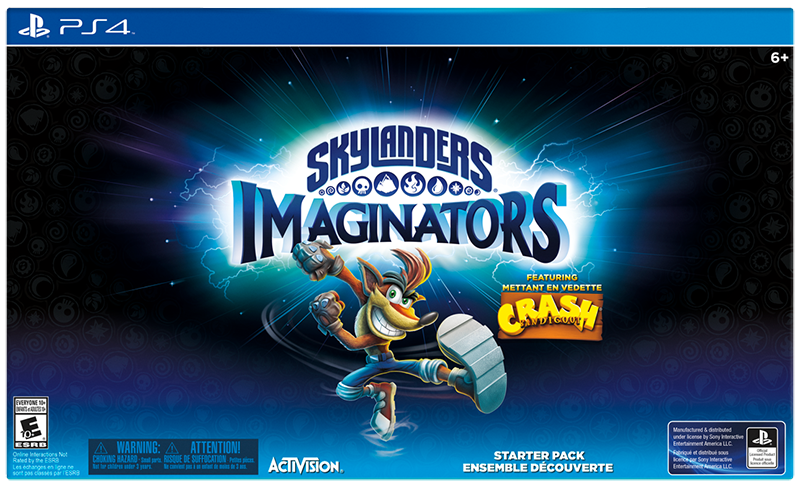 That's not why Activision wants Crash Bandicoot in Skylanders. They want him because he's hot stuff, and they want a piece of that action. So we're getting a Crash Bandicoot figure. We're getting a special $US99 ($134) Crash starter pack for the PlayStation 4 and PlayStation 3 (the Crash toy will be cross-platform playable). And we're getting a current generation Crash Bandicoot with some pretty sweet moves. There's even an official bio to justify his appearance in Imaginators. In Skylanders Imaginators, a wormhole has opened in Skylands and the great Aku Aku appears! He comes to announce the once in two decades Synchronisation Celebration. It is the time when all of the worlds align perfectly. They are having a huge celebration event in the Wumpa Islands and want to invite the Skylanders. But with Kaos on a quest to take over Skylands using his army of Doomlanders,the Skylanders must focus on stopping his evil plans. Never one to shy away from danger, the legendary marsupial Crash Bandicoot travels through the wormhole to join the Skylanders in the ultimate battle against Kaos! So don't worry, Crash Bandicoot fans. This could be the beginning of a new era of greatness for your favourite whirling dervish. And if not, at least there's a toy coming out. 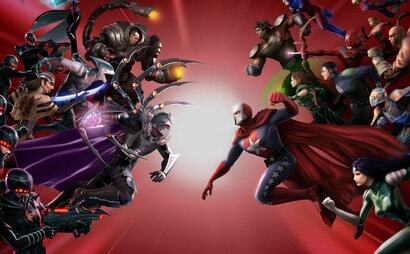 I laughed when people cheered for the remakes but no one cheered for Skylanders haha. 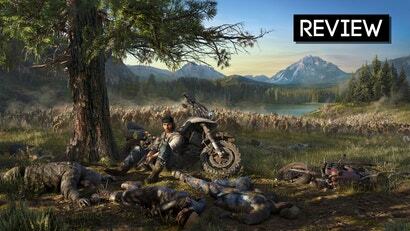 This is the reveal I've been waiting for for about ten years. 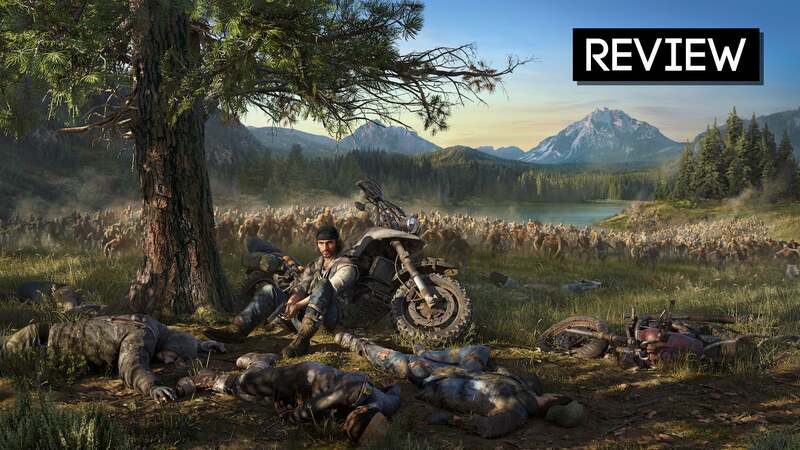 If the character really is cross platform I applaud them for doing that. My son loves Skylanders and he really wanted Bowser and Donkey Kong, he was a bit upset that he couldn't actually use them in the game as we have a PS3. 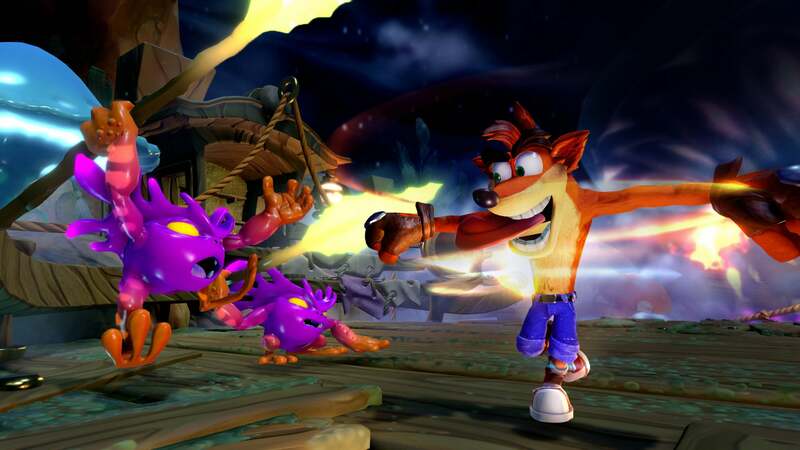 Excited for the Crash remasters, but personally would rather have a new Naughty Dog developed Crash rather than just dropping him into Skylanders. ND have released Uncharted 4 now, so here's hoping. Also, a new Jak & Daxter would be nice while they're at it too. Arggghhhh!!!! Nooooo!!! This can't be happening!!!! !